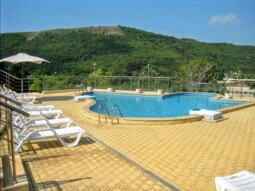 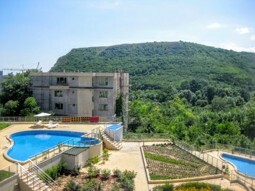 Kavarna Hills complex is a lovely place for summer vacations. 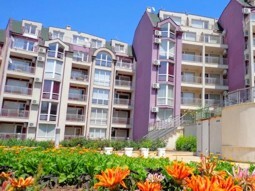 The beach is only 5 minutes walking distance /about 400 meters/. 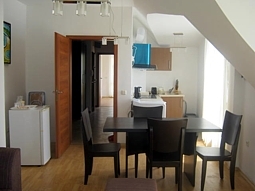 On the beach you can also find a small food shop; shop for beach accessories and a lovely restaurant called “Balgarka”, where you will use vouchers for 10% discount for the menu prices as our guests. 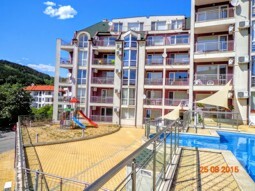 The town center is only 3 km away and can be reached by a public transport /there is regular bus on each hour from the beach to the town center/ or by your own car for only few minutes. 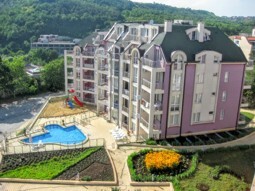 In the town center you will find a variety of shops, restaurants and kids amusements – there is a large park with children playground in the town center. 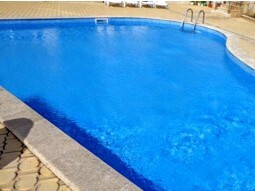 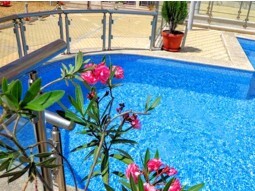 In the Complex you will use for free two outdoor swimming pools – one for adults and one for children; children playground near the kids pool; parking. 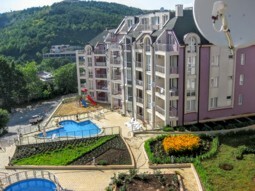 The apartments do not have a view to the sea as these are orientated to the beautiful hills and in most of the apartments the view is to the green hills and the pools in the complex. 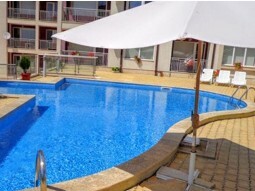 The apartment is self-catering and offers two sunny bedroom – one with double bed and en-suite bathroom with bath; the other bedroom is with two single beds; linen and towels are provided. 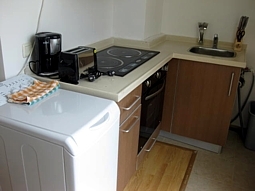 There is a second bathroom with a shower, sink and toilet. 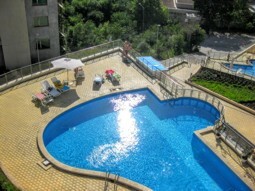 Additionally there is a large, air-conditioned open-plan living room with fully equipped kitchen area – oven, two ceramic hot plates, washing machine, fridge with a small freezer, toaster, coffee machine and all needed cutlery for cooking and eating; dining area with table and four chairs; sitting area with comfortable sofa-bed where two more persons can sleep and coffee table. 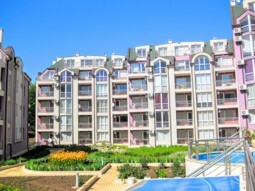 The apartment is connected to a satellite TV. 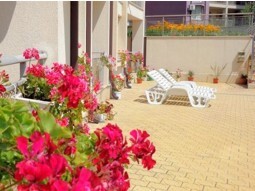 Living-room is leading to a small terrace with plastic table and chairs and beautiful view to the pools. 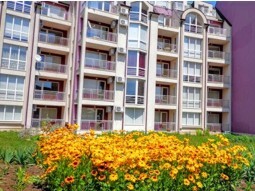 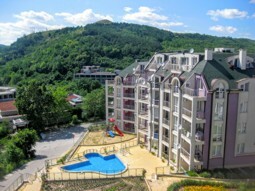 The Complex is located in 40 minutes driving to the International Airport of Varna and approximately 30 km to the famous Summer Resorts Albena and Golden Sands. 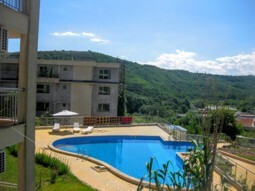 It is also located close to the lovely town of Balchik, where can be found amazing historic landmarks like the exotic botanic garden and the old Palace. 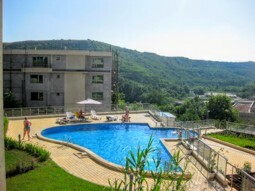 The town of Kavarna will fascinate you with its ancient history dating from the Thracian times and its many extraordinary places that keep the remains of Roman villas and walls, medieval buildings and churches, the cape of Kaliakra, two natural reserves and many more. 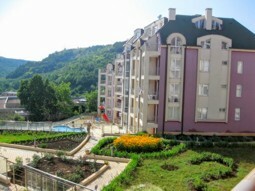 There are few golf course situated about 10 minutes drive from Kavarna Hills Complex. 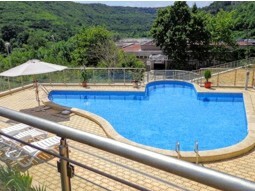 Complex Kavarna Hills, Kavarna town - comments and recommendations from clients of ours and guests, who spend their vacations with us . 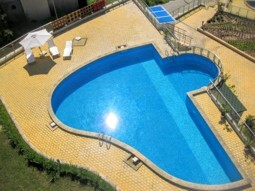 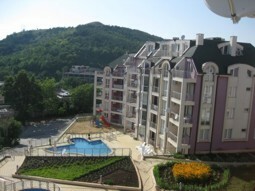 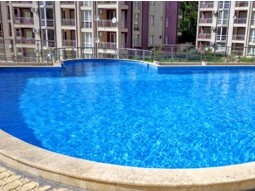 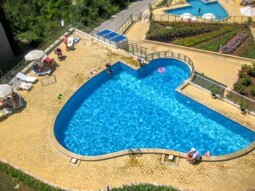 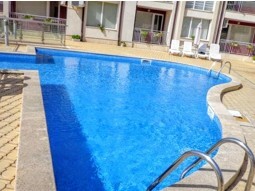 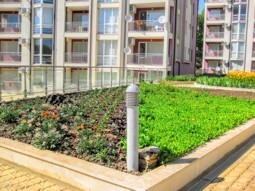 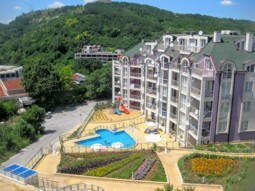 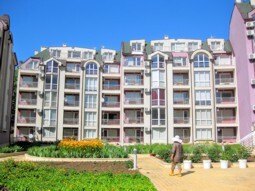 Complex Kavarna Hills is located in the seaside zone of Kavarna Town. 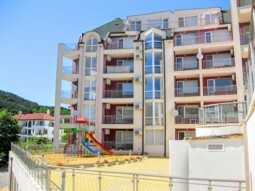 The complex is located on the seaside promenade of the town, just 300 metres from the beach.